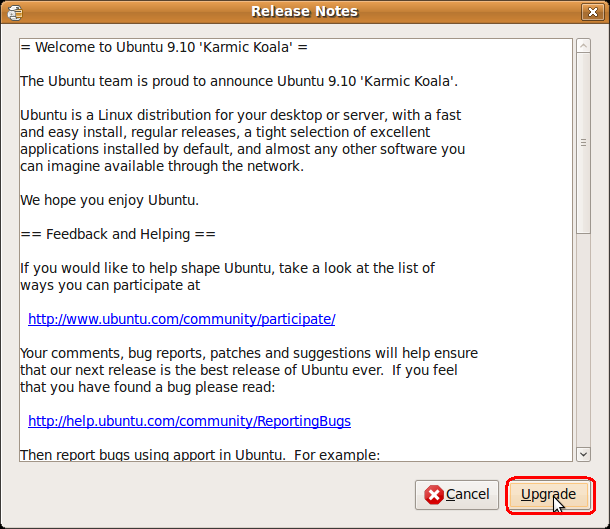 This tutorial provides instructions on upgrading to Ubuntu 9.10 (code name "Karmic Koala"), the most recent release of Ubuntu, released on the 29th of October 2009. 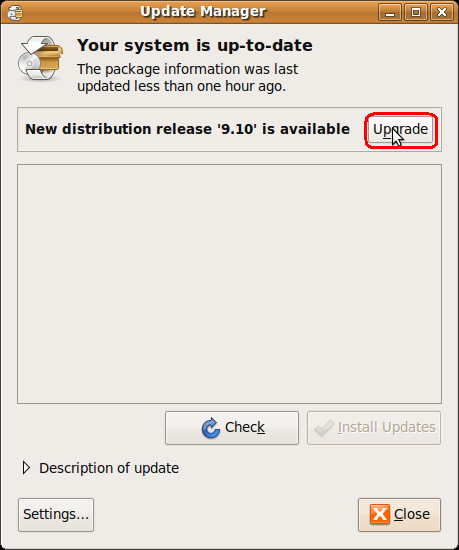 Be sure that you have all updates applied to Ubuntu 9.04 before you upgrade. Trying this for fun doing a desktop install of 9.10 and then trying to up grade to 10.04 server using the steps above. this is probably to late to ask this, but uprading ubunut 9.04 to 9.10 should still be possible. update manager is showing another version. doesn’t support upgrade to Lucid. So it doesn’t work for me. Don’t know how?